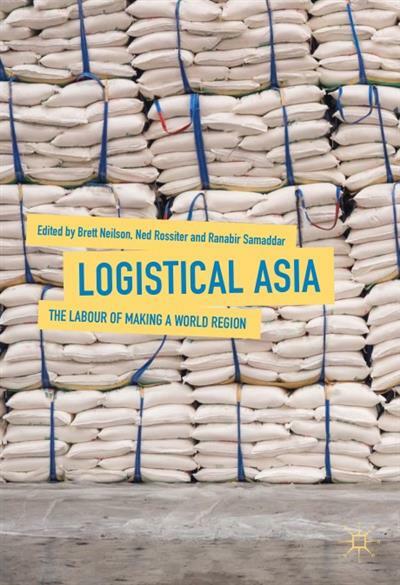 Logistical Asia The Labour of Making a World Region | Free eBooks Download - EBOOKEE! This book explores how the management science of logistics changes working lives and contributes to the making of world regions. With a focus on the port of Kolkata and changing patterns of Asian regionalism, the volume examines how logistics entwine with political power, historical forces, labour movements, and new technologies. The contributors ask how logistical practices reconfigure both Asia's relation to the world and its internal logic of transport and communication. Building on critical perspectives that understand logistics as a political technology for producing and organizing space and power, Logistical Asia tracks how digital technologies and material infrastructure combine to remake urban and regional territories and produce new forms of governance and subjectivity. No comments for "Logistical Asia The Labour of Making a World Region".